Premier Business Experts Make Business Startup Ventures Extremely Successful! As one can see from examining the various web pages on this site, Premier Business Experts are dedicated and talented professionals who take pride in clients’ successes. As entrepreneurs launch new companies and as existing companies venture into new businesses, they often reach out to Premier Business Experts, who stretch to meet their needs, by performing the functions listed on the other pages of this website. 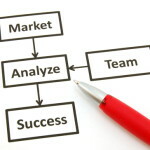 If one is considering starting a new business, he or she should read the below information, as well as the information on the Feasibility Studies & Business Plans page of this web site, along with the pages showing how Premier Business Experts can prepare the necessary marketing plans and marketing materials for a new business. This said an overview of how the analyzes conducted by Premier Business Experts can help YOU will be briefly discussed. Premier Business Experts Conduct Analyses that Objectively Assess Opportunities and Provide Beneficial Returns! Regardless of whether an entrepreneur or a well-established corporation is looking at a new business opportunity, it is highly important that independent analyses be performed. The reason is that such analyses provide an objective assessment of the proposed business and the owner’s readiness to operate it. NOTE: IT IS TYPICALLY MUCH MORE DIFFICULT TO ASSESS THE REVENUE POTENTIALS THAN THE COSTS OF A NEW BUSINESS VENTURE. HOWEVER,THE PROFESSIONALS AT PREMIER BUSINESS EXPERTS ARE THE BEST WHEN IT COMES TO EXAMINING WHAT SIMILAR BUSINESSES ARE DOING, DETERMINING WHICH OF HUNDREDS OF VARIABLES HAVE INFLUENCED OTHERS’ FINANCIAL PERFORMANCES AND BUILDING HIGHLY-ROBUST, MATHEMATICAL MODELS THAT PREDICT THE LOWER-BOUND AND MOST-LIKELY SALES, TYPICALLY WITH A GREATER THAN 95% ACCURACY! THE RESULTS HAVE BEEN EXPEDITED FINANCING FOR NOT JUST MANY BUT, MORE IMPORTANTLY, MOST VENTURES WHERE THOSE AT PREMIER BUSINESS EXPERTS HAVE CONDUCTED THE FEASIBILITY STUDIES AND PREPARED THE BUSINESS PLANS! (AFTER YOU READ THIS PAGE BE SURE TO GO TO THE FEASIBILITY STUDIES & BUSINESS PLANS PAGE ON THIS WEBSITE.) ADDITIONALLY, YOU SHOULD KNOW THAT THE TEAMS AT PREMIER BUSINESS EXPERTS ARE GREAT WHEN IT COMES TO ASSESSING THE VALUE OF AN EXISTING BUSINESS, WHICH ONE MAY BE CONTEMPLATING BUYING OR SELLING! FOR SMALLER, “LIFESTYLE” BUSINESSES SUCH AS DRY CLEANING AND RESTAURANT OPERATIONS, WITH A SOLID HISTORY, THE TIME AND COSTS ARE VERY LOW, ESPECIALLY WHEN ONE CONSIDERS THE COSTS OF A BAD DECISION! 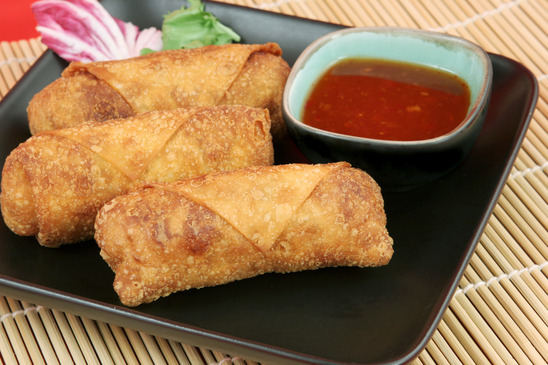 A Chinese food manufacturer wanted to get into the rapidly growing Mexican food marketplace. Premier Business Experts analyzed the situation and found that producing products to compete against chips, pretzels, and other “dry goods,” did not represent a good fit for this particular company. The reason is that it competed in the frozen foods category. However, Premier Business Experts determined that there was a large demand for frozen snack foods that could be heated in the microwave and readily served during football, and movie type gatherings, at individuals’ homes. Similarly, Premier Business Experts found that people preferred small appetizer type items for such gatherings, which is why items like Buffalo Wings were selling well in that category. 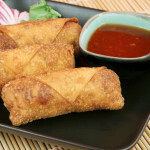 Since the company already had egg-roll lines in operation, which were not operating at full-capacity, it was determined that its plants could blend burrito filling rather than Chinese food ingredients and that it could easily insert the burrito filling into the Chinese, egg-roll shells in place of the customary ingredients. The result would be bite-sized Mexican burrito products. These bite-sized burrito products have been particularly successful. This is because: (1) There is a large demand for Mexican snack food items that can be easily prepared and served at social gatherings. (2) The company had the management expertise and skills needed to launch the new products. (3) There was a strong corporate commitment and desire to sell Mexican food items. (4) The company had the operational and technical skills needed to launch the new business venture. (5) The financial requirements to launch the new product lines did not exceed the company’s abilities. Premier Business Experts Prepare the Reports that Help Companies Realize Their True Worth and Increase Their Incomes! 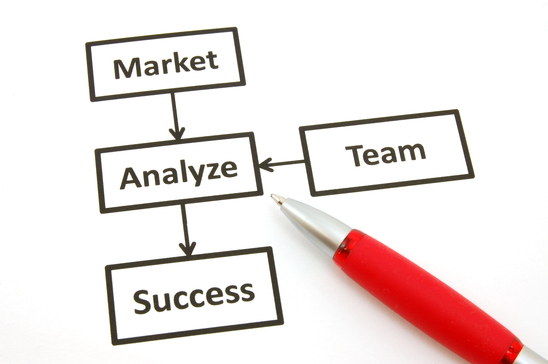 Once individuals realize that a new business is feasible, it is very important that a business plan be prepared. The reasons are that business plans (1) establish goals and clearly outline how these goals will be met and (2) are required by many financial institutions before they will consider helping a company borrow money and/or raise capital. Through such efforts (which are highlighted on the “Feasibility Studies and Business Plans” page of this website) Premier Business Experts help many businesses get off the ground! Then, after they are launched, Premier Business Experts can make those businesses more successful as shown by the other pages on this website! An entrepreneur, who had set up distribution channels for Health and Beauty Aids (HBA) and who made his living selling items made by various HBA manufacturers, decided that there was a market for a new, healthy, sports drink. 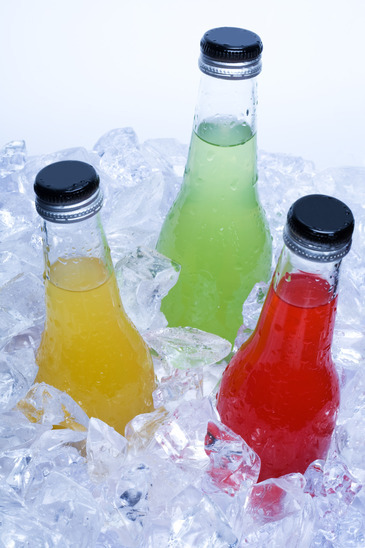 Thus, he designed and developed a natural fruit-flavored beverage without preservatives, without artificial coloring and without artificial flavoring that had soluble electrolytes in the ratios needed by the body. However, when he went to venture capital firms and bankers for financing, he was unable to get funding since the investment community viewed his business plan as “weak.” Therefore, he decided to hire Premier Business Experts to help prepare a business plan on his behalf. 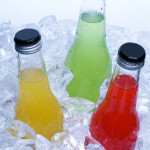 After Premier Business Experts edited and rewrote major sections of his business plan, he quickly raised $20 million, which more than covered the costs associated with his contracting a small regional bottler to manufacture his product, as well as the marketing and distribution costs associated with his beverage that he began selling through independent distributors. Premier Business Experts Prepare Materials that Raise Profits! Whenever there is a startup situation there is generally a need to prepare the types of marketing materials shown in the Client Promotions section of this website, as well as manuals. Whether the manuals are printed or presented in electronic format, they have to be designed, prepared, edited, produced, and distributed. Premier Business Experts are uniquely qualified to help clients’ develop Employee Handbooks, Maintenance Manuals, Safety Manuals, Sales Catalogs, Sales Manuals, Training Manuals, User’s Guides and the like. Additionally, Premier Business Experts help professional startups that rely on project work. It does this by preparing responses to Requests for Proposals (RFPs) sent to its clients and by preparing telephone scripts, and necessary documents. Similarly, Premier Business Experts prepare Marketing Plans that allow companies to (1) more efficiently allocate their marketing dollars and (2) better ascertain the effectiveness of their marketing efforts. Moreover, they WRITE AND ARRANGE FOR THE PUBLISHING OF FAVORABLE FEATURE ARTICLES on behalf of clients. In short, Premier Business Experts can assist all types of business entities ranging from a one-person startup to a Fortune 100 enterprise desiring to move into a new line of business. 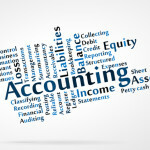 An accountant who had worked for one of the Major Public Accounting Firms decided to start his own business. Yet, he needed help setting up his business and Premier Business Experts assisted him with his efforts. Premier Business Experts did this by preparing marketing materials as well as telephone scripts that were used by professional and clerical personnel. Because of Premier Business Experts’ efforts, this client wrote a letter saying that during a tax season his “phone was ringing off the hook.” The result has been that this individual has had a very successful career on his own, catering to wealthy businesspeople and medical doctors needing personalized, accounting advice. 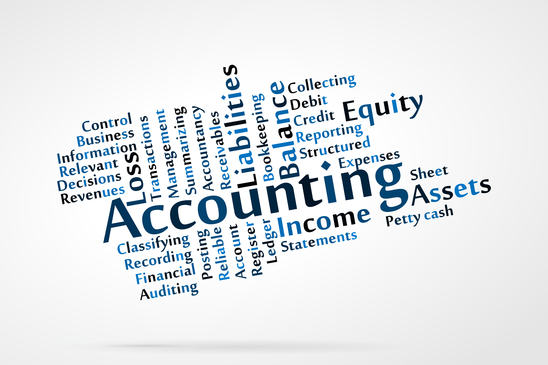 He has found that running his own business has been much more satisfying than working for one of the Big Four Accounting Firms, and he has been adding more clients each and every tax season for the last several years.